Having difficulties looking for copper coils? We can help you because we have all sizes. Copper Coil are soft temper (annealed) coil that are made in accordance to JIS H3300 C1220T. It is a 15 meter pancake copper coil, which different to 6 meter straight length copper tube. Copper coils are easily bend due to its soft temper attribute. This JIS H3300 C1220T copper coils are suitable for water supply, heat exchanger, and chemical applications. 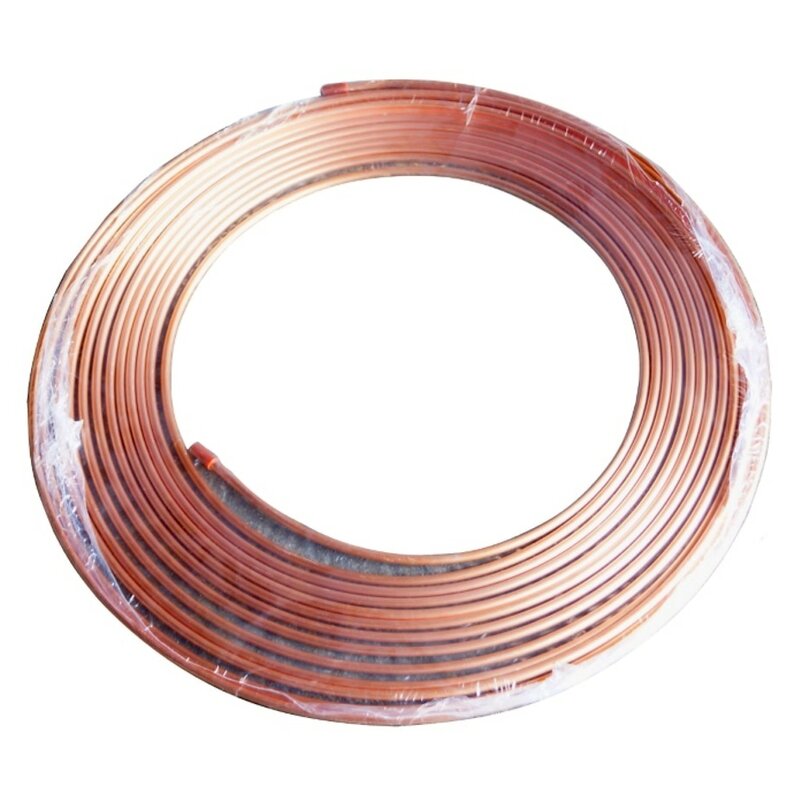 Copper ​coil are long lasting as it has better corrosion resistance, high temperature resistance, and high mechanical strength. Its long lasting criteria make it widely consumed in different industry. Copper coil can be joined by soldering, capillary fittings, or compression fittings. Inches Size Range: 1/4" to 7/8"
Copper coils are manufactured based on the requirements of specifications under JIS H3300. For JIS H3300, it is a standard that specifies expanded copper and copper alloy seamless pipes and tubes, having a round section. Copper coils are light weight, high corrosion resistance, suitable for heat exchanger, and minimize the need of joints. The hardness and strength of coil are defined by it's temper, which is drawn and annealed. Drawn temper are refer to hard temper while annealed refer to soft temper. Copper coil is soft temper pancake coil, where it can be easily bend by hand pressure. However a suitable bending tools are recommended for bending purpose. The ease of bending make copper coil are economical as it does not need lot of joints. Under JIS H3300, the tensile strength for copper coil is 245 N/mm² - 324 N/mm². For Chuan Kok’s copper coils, it contains a minimum 99.90% of copper (CU) and range of phosphorus in 0.015% - 0.040%. This copper material chemical combination also known as phosphorus deoxidized copper. Deoxidized copper with phosphorus is to reduce the cuprous oxide and remove porosity by act as oxygen removal during the manufacturing process. The copper coil outer diameter (OD) is measured by Inches and MM. For Inches OD, it is available from 1/4"OD to 7/8"OD. While for MM OD, the outer diameter size is available from 6MM to 15MM. The Table below illustrates the OD tolerance under standard JIS H3300. ​For copper coil thickness, it also available in two measurement: MM and Standard Gauges. For MM thickness, it is available in 0.9MM, 1.2MM, and 1.5MM. For Standard Gauges thickness, it is available in SWG or BWG. Below table illustrates the Standard Gauges thickness.